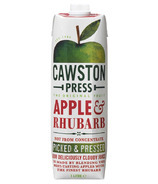 With so many varieties, the combinations of colours, tastes and textures are endless, that's why Cawston Press takes so much care when picking the apples they choose to press & blend for their juices. 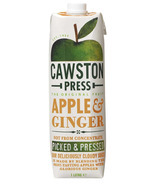 Ten whole apples are crammed into every litre carton of their Original Blends with each playing a special role, inspired by the apple and ingredients found in their kitchen gardens. At harvest time, they only pick the finest fruit brimming with flavour and they only ever use pressed, not concentrated juice.